A silver cut half penny of Henry II dating to the period AD 1158 - 1180. Tealby Type Cross and crosslets reverse type. Mint uncertain. A silver cut farthing of Henry II dating to the period AD 1158 - 1180. Tealby cross and crosslets reverse type. Mint uncertain. 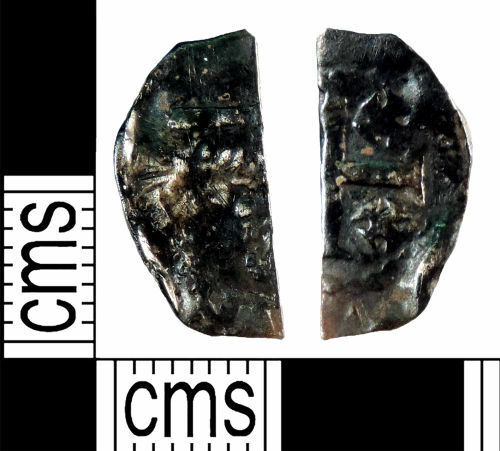 A silver cut halfpenny of Henry II dating to the period AD 1158 - 1180. Tealby cross and crosslets reverse type. Moneyer Willem. Mint uncertain. A silver cut farthing of Henry II dating to the period AD 1158 - 1180. 'Tealby' cross and crosslets reverse type. Mint uncertain.